As the cost of heating our homes and offices continues to rise, so finding ways to reduce the bills continues to be important. While good insulation helps to keep the fabric of a house or office warm, the weak points are often the openings – the windows and doors that let in natural daylight while providing shelter from the elements. Even with double glazing, there is still a degree of heat loss from windows and doors, and there is a relatively limited amount that can be achieved by standard blinds and curtains. 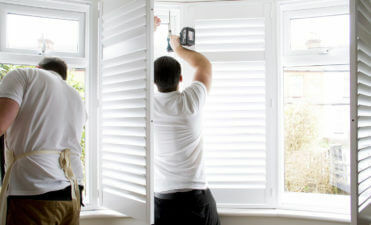 Using shutters, on the other hand, provides extra protection and is a great aid to effective temperature control. Shutters are suitable for every type of property – town house or country manor, bungalow or flat. 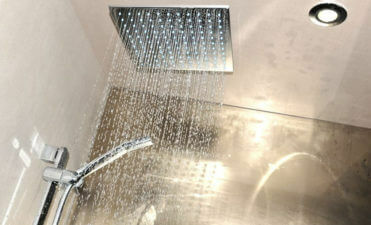 Also, they are suitable for every room in the house and have an attractive impact externally as well as internally. 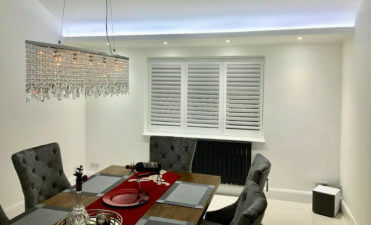 When looking for shutters Bromley is the place to go to find one of the top retailers of window shutters and blinds in the South London and Kent area. ShuttersUp have established their reputation by providing and installing the highest quality plantation shutters and blinds and making these available at the best possible prices. Advantages of shutters Contemporary shutters have a range of different characteristics that allow them to be adjusted to provide varying levels of light and privacy. For example, tier on tier shutters are built a bit like barn doors, although they are not solid. Instead they have separate and flexible panels that can be tilted to open or close them independently as required. Options for privacy and light are therefore extremely good, and larger windows in living rooms and offices benefit from a fully fitted, insulating cover that will help to reduce heating bills and is kind to the environment. Other styles Full height and café style shutters serve two different purposes, yet both types are frequently selected as the shutters Kent and South London homeowners prefer. Full height shutters will dress a window or door from top to bottom; whereas café style shutters will usually cover the bottom portion of a window only – often one half or two thirds – allowing maximum light at all times, and controlling privacy. Sometimes curtains are also used with café style shutters. Patio doors Designed to let in maximum light, and often providing a lovely entrance point into a garden or terrace, patio doors are also vulnerable areas in the home and, once again, they are the most likely places for draughts to occur. The solution is to install a track system that allows shutters to glide easily to one or both sides of the door for easy opening. They provide full insulation so there is no need to worry about heat loss. Another reason why track systems are a good idea is to do with security – having a second, inner ‘skin’ on large glass doors means the locking mechanism is greatly improved. Awkward shapes Unusual or unique shaped openings can be a real headache when it comes to dressing them to ensure privacy, and light control. 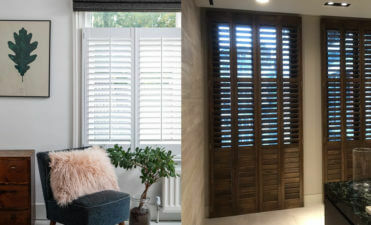 Here again shutters can save the day, as bespoke designs mean an exact match for that awkward shape can be created and fitted with ease.